HIGHEST QUALITY - SAME DAY SHIPPING - 10 YEAR WARRANTY! 2001 - 2005 Acura MDX. 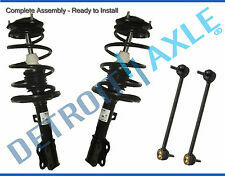 New Genuine Honda Front Stabilizer Sway Bar End link set. Updated end link set includes mounting nuts. 2003 - 2005 Pilot. We are a Honda new car dealer with over 30 years in the Baltimore Maryland market. 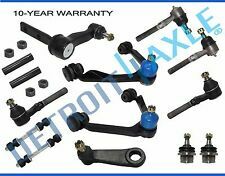 This is a complete front stabilizer sway bar end link set for the 2005 to 2015 Honda Pilot. We are a Honda new car dealer with over 30 years in the Baltimore Maryland market. 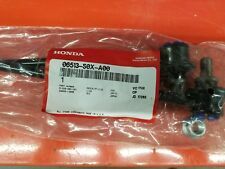 We have a large inventory of Genuine Honda Parts! 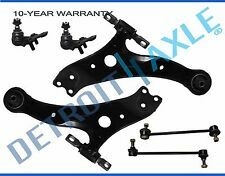 New 6pc Complete Front Suspension Kit. BUICK ENCLAVE 2008 - 2017 All Models. GMC ACADIA 2007 - 2016 All Models. CHEVROLET TRAVERSE 2009 - 2017 All Models. SATURN OUTLOOK 2007 - 2010 All Models. 2x Front Inner Tie Rod End Link - EV800572. Trending at $44.25eBay determines this price through a machine learned model of the product's sale prices within the last 90 days. Trending at $38.24eBay determines this price through a machine learned model of the product's sale prices within the last 90 days. 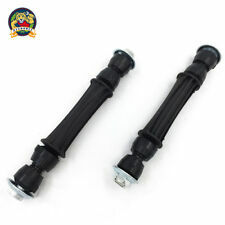 2 x Rear Stabilizer Sway Links. 2 x Front Stabilizer Sway Links. - Do not have missing parts, hardware or instructions. - Have not been used, installed or disassembled. Wrong Part. Missing Part. GMC Sierra 2500 HD 2001-2015 All Models. · Bushing Color: Bushings may vary in color this does not affect the performance or quality of the part. · 5 years warranty. 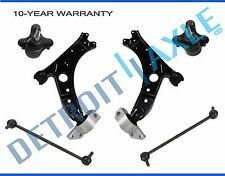 CHEVROLETTahoe 2000 4WD 5.7L 8Cyl V.
Genuine OEM Honda Pilot / Acura MDX Rear Sway Bar Bushings (Pair). Genuine OEM Honda Ridgeline Rear Sway Bar Bushings 2006-2014 (Pair). 2006 - 2008 Honda Ridgeline. 2001 - 2006 Acura MDX. Front Sway Bar Bushings. 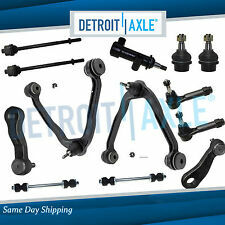 New 4pc Kit: Front and Rear Stabilizer / Sway Bar End Links. NISSAN PATHFINDER 2005 - 2012 All Models. 1x Front Stabilizer / Sway Bar End Link (Driver) - K80470. 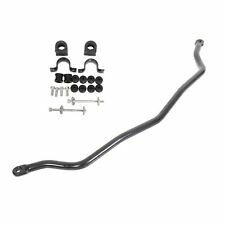 1x Rear Stabilizer / Sway Bar End Link (Driver) - K750037. A sway bar is a critical part of the suspension. 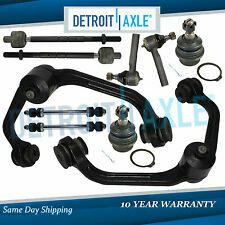 Also referred to as a roll bar or stabilizer bar, they are essential parts of many automobiles and trucks. Knowing more about the component will help you with the shocks of your car or truck. What does a sway bar do? 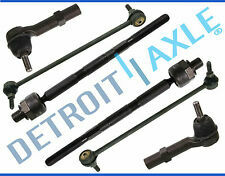 A sway bar is an integral part of the suspension in many cars and trucks. It is designed to reduce the body roll when there are road irregularities as well as when you take a corner fast. The sway bar link connects the left and right wheels. 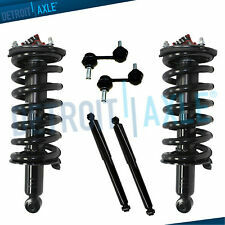 The torsional spring will reduce the body roll and ensure that the wheels move the same amount. The bar will twist and move lever arms to keep the vehicle more stable. What types of sway bars are there? How is a suspension part installed? When you are getting ready to install pieces for your car, it is vital to make sure you have all of the parts you need, including the sway bar link and the bearings. The car should be up on a ramp so you can easily access the undercarriage. Make sure you have plenty of light to be able to see what you are doing, too. Two nuts will hold the link in place. You can use a wrench or a sledgehammer to help pry them loose. From there, you are ready to replace the part with a new one. If you are not comfortable repairing on your own or don't have the right tools, you can also bring the sway bar into a mechanic. What decisions have to be made when improving suspension? To buy parts, it is necessary to make a few decisions. 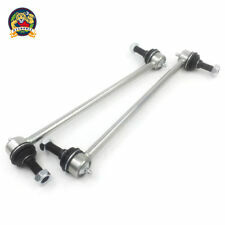 Doing so will that ensure you buy the right stabilizer bar for your vehicle. Make and model: Choose the right bar for the make and model of your car. Brand type: Review if you're buying an OEM or aftermarket part. Placement on vehicle: Look to see whether it needs to go on the front, rear, left, or right of the vehicle.